Make smart choices when selecting camera accessories. It’s easy it is to get caught up in the hype of ‘must have’ shiny new things when purchasing camera accessories for your new camera so I’ve put together a short list I consider essential. I recently bought a Sony A6000 so my obsession has started! Have you read my Beginners Gude to shooting awesome photos with a Sony A6000? With these camera accessories you will be ready for hassle-free photography on your next shoot. Finding the right camera bag is a big decision and there are many camera bags on the market to choose from. If you’re looking for your first camera bag, the best advice I can give you is to purchase a bag that is larger than you think you’ll need. Once you start accumulating accessories for your camera, additional lenses and other photographic equipment your camera pack will expand with items you simply can’t live without. Investing in a Tripod can be very useful if you want to shoot a landscape and include yourself in the foreground or hold your camera steady for long exposures or low light photography. Have you considered a Monopod? Mobility is great especially for action shots, they’re light weight and have a smaller ground footprint. Buy a good quality Tripod or Monopod that is lightweight (consider carbon fibre or aluminium) and is easy to carry in your backpack. 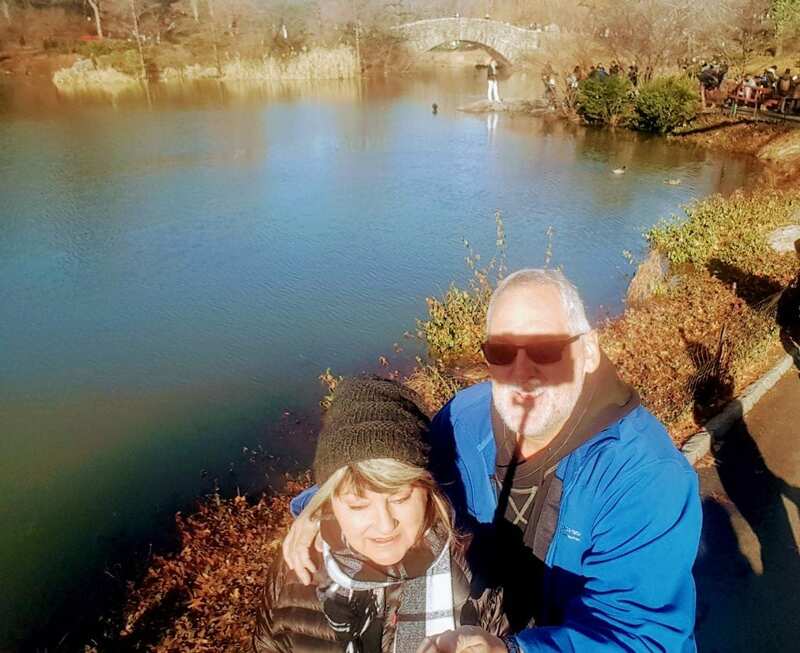 Purchasing a selfie-stick is great option for taking photos for social media, or wish to include a human element if you’re a solo traveler or couple shots. Opt for a Bluetooth release to automate your smart phone. Beware of taking shots like this taken in Central Park, New York! Peak Design is a brand making a name for themselves right now. I wasn’t comfortable with the strap that came with my Sony A6000 so looked for an alternative and found this Peak Design wrist strap. It’s comfortable and best of all, doesn’t get in the way when shooting. I can safely carry my camera safely in my hand – ever-ready for that unexpected shot that I might need to take, quickly. Make sure you carry sufficient memory cards ensuring you have adequate disc space for your photography needs. Cards either run out of space or fail. Be prepared for either! The cost of memory cards has dropped considerably over the last few years, so it’s worth carrying a few extra cards in you camera bag for peace-of-mind. My preference is to use 64 bit cards however there are options – 32, 64 or 128 bit memory cards are available at reasonable dollars. Camera battery technology has grown so much over recent years. I’m sure I’m not the only one who’s been caught out with my battery running out of charge. I recommend you keep 2 spare batteries on hand – charged of course! A certain peace-of-mind factor comes with knowing you have a spare battery on hand to wrap up the shoot of the day if your battery dies. Invariably if you don’t carry an extra battery, you can bet your last dollar that you will miss the ‘photo of the day’! It happens every time! Clean lenses are essential to good photography. There are plenty of cleaning options available for cameras and lenses, I have found it useful to keep a selection of lens cleaning cloths on hand at all times. I ensure I buy high-quality lens cloths with non-chemical additives to keep my lenses clean. Another option worth buying is a good quality Lens Pen which is especially useful for removing dust and loose debris from lenses. I hope these tips for camera accessories are useful. Carrying these essentials with your camera will help prepare you for the unexpected. My advice is to take a lot of photos. It’s much simpler to examine your photos and delete ones that are blurry, off-angle or photo-bombed. There is nothing worse than taking only one photo and the expression is all wrong. It’s often impossible to re-shoot. Do you have a photography “essential” that you always carry with you? If so, I’d love to know … share it in the comments below.